Bricks 4 Kidz deliver LEGO® themed maths workshops for primary schools during Maths week each year. Maths Week Ireland is an all-Ireland celebration of Maths and is a partnership group that see the importance of maths and the importance of promoting maths. Maths Week Ireland promotes, awareness, appreciation and understanding of maths through a huge variety of events and activities. Maths Week provides a unique opportunity for primary students to embrace mathematics and together with Bricks 4 Kidz, your school can promote maths through play based activities. LEGO® Based education programmes have proven to be a very effective method of reinforcing mathematical concepts to school age children and a Bricks 4 Kidz maths workshop provides children of all ages with a fun and educational way to develop their understanding of maths. Bricks 4 Kidz proprietary model builds, which have all been designed by architects and engineers, are accompanied by lesson plans which explain the need to estimate, observe, predict, measure and record their findings during the model construction. These age appropriate workshops will also enable your pupils to explore the relationships between fractions, decimals and percentages. 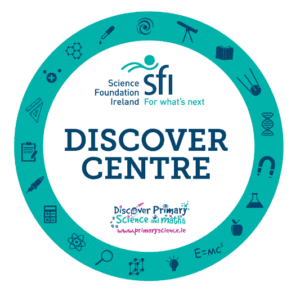 Science Foundation Ireland (SFI) have reviewed and accredited Bricks 4 Kidz workshops for primary schools under the Discover Science and Maths award programme. Bricks 4 Kidz Creativity Centres have been designated as Discover Centres and our in-school workshops have been accredited as outreach programmes. The purpose of the Discover Centres is to support schools in engaging in science curriculum relevant and inquiry based way. As an accredited Discover Centre, Bricks 4 Kidz LEGO® Technic workshops, outreach programmes and school tours can be used by schools to gain credit towards their Science Foundation Ireland Discover Science and Maths awards. If you would like your school to partner with Bricks 4 Kidz during Maths Week, contact us today!